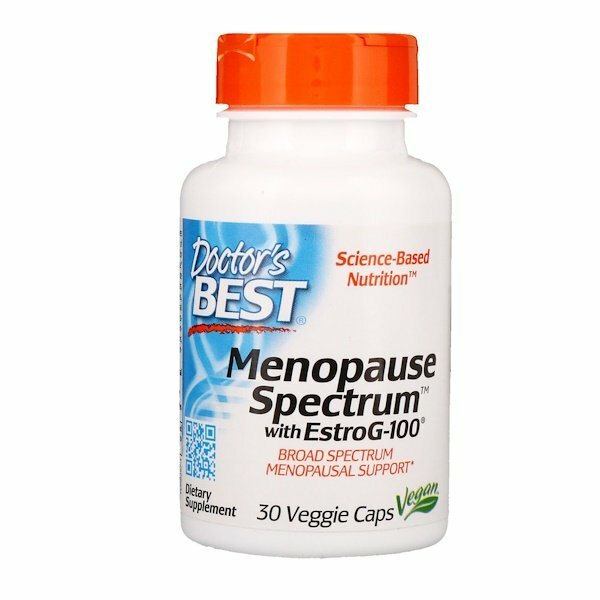 Menopause Spectrum with EstroG-100 features a patented, clinically proven synergistic blend of three herbal extracts that together offer relief for uncomfortable feelings associated with menopause. Research has shown this combination to promote healthy management of hot flashes, night sweats, nervous irritability, dizzy spells, vaginal dryness, numbness and tingling, occasional emotional discontent, and occasional fatigue and sleeplessness. Unlike some common menopause formulations with ingredients that bring safety concerns, EstroG-100 has a track record of safety, is non-estrogenic and has a long history of use in Asia. Relief from hot flashes and menopausal symptoms in as few as 7-14 days. Helps manage mood & energy swings. Helps alleviate night sweats and promotes restful sleep. 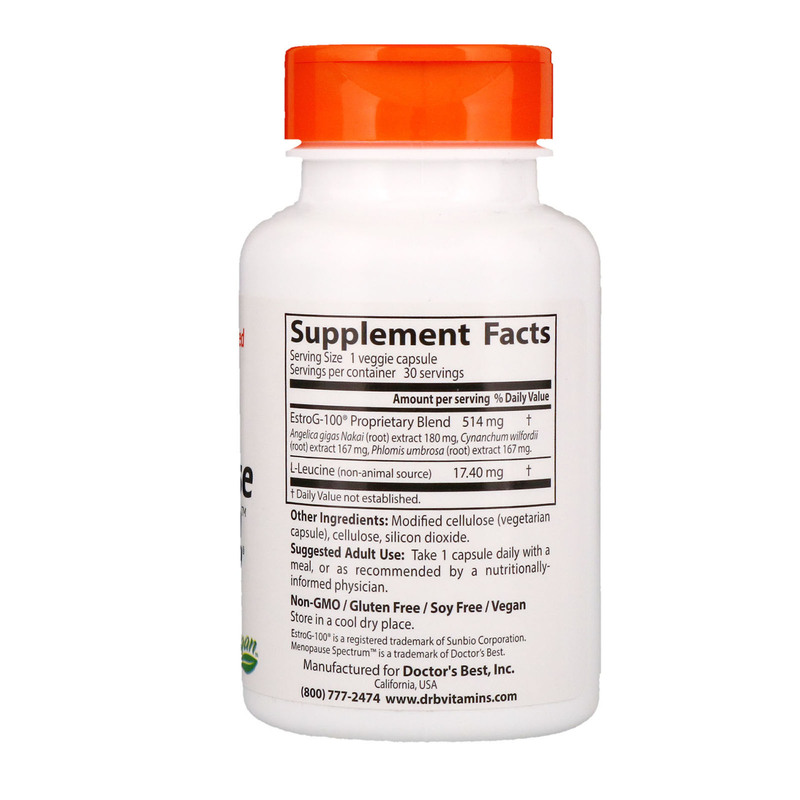 Take 1 capsule daily with a meal, or as recommended by a nutritionally-informed physician.